Posted on March 6, 2008 by Pavel Y. 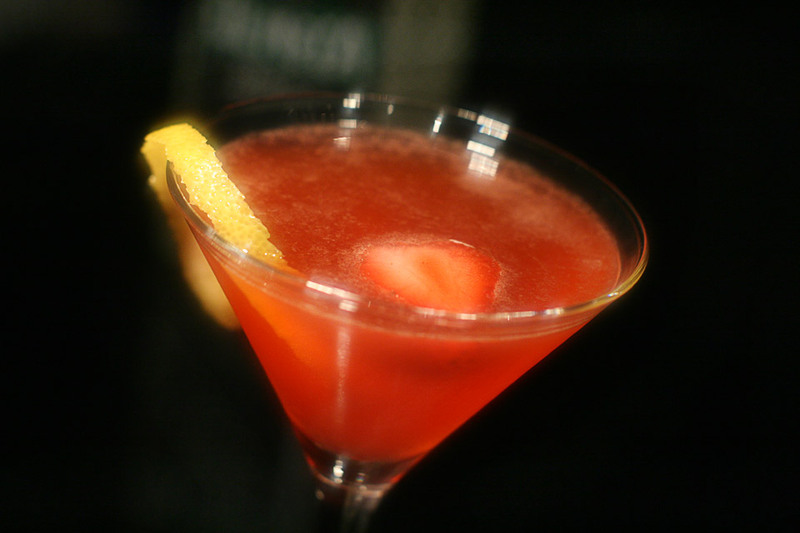 Another beautifull strawberry cocktail for St. Valentins Day (or 8 March Day…). Shake. Cocktail glass. Garnish with lemon twist and strawberry. Actually I don`t have orange bitters in my liquor cabinet. Therefor I prepare a substitute of it as described here.